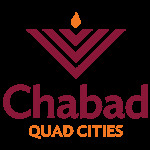 Calendar Ad/Sponsor Form - Chabad Lubavitch of the Quad Cities. Select the occasion, insert the name (exactly as you'd like it to appear) and select the date. You can select the secular or Hebrew dates below. $36 per dedication. Sponsor 5 and take the 6th for free. Your dedication will appear as text in the calendar date box of choice.